A Blade of Grass: New Palestinian Poetry – Crowdfunding Begins! Looking for a way to support the Palestinian cultural resistance? Why not feed the poets! 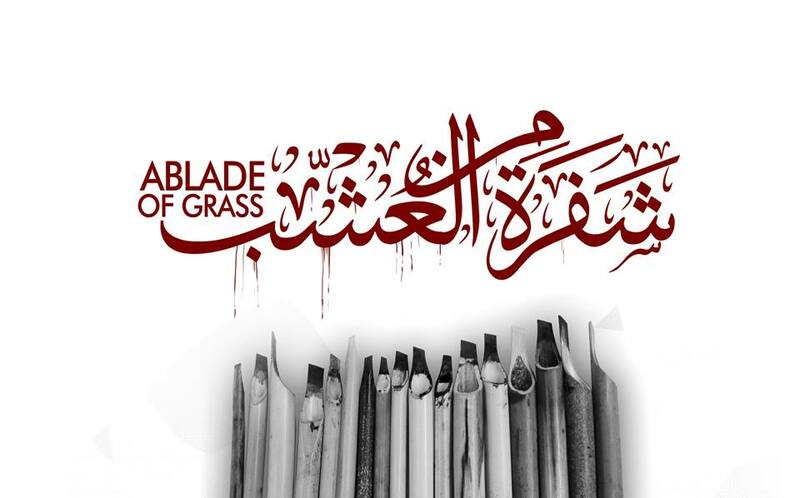 The forthcoming Smokestack Books anthology A Blade of Grass: New Palestinian Poetry is crowdfunding now, seeking to raise money to help pay contributors’ fees and printing costs, and to donate to the legal campaigns of imprisoned poets Ashraf Fayadh and Dareen Tatour. There’s more information below, or just click here to go straight to the site. Thank you for anything you can do to help – even if just spreading the word! A Blade of Grass: New Palestinian Poetry brings together, in English and Arabic, new work by poets from the Palestinian territories, from the diaspora, and from within the disputed borders of Israel. Presenting work by Marwan Makhoul, Maya Abu Al-Hayyat, Fatena Al-Gharra, Dareen Tatour, Ashraf Fayadh, Fady Joudah, Naomi Shihab Nye, Deema K. Shehabi, Mustafa Abu Sneineh, Farid Bitar, Shahid NWA, Sara Saleh and Mahmoud Darwish, and featuring a 12 page introduction by the book’s editor, poet and activist Naomi Foyle, the anthology celebrates the flourishing cultural resistance of the Palestinian people to decades of displacement, occupation, exile and bombardment. Voices fresh and seasoned converse with history, sing to the land, and courageously nurture an attachment to human fragility. Written in free verse and innovative forms, hip hop rhythms and the Arabic lyric tradition, these poems bear witness both to catastrophe, and to the powerful determination to survive it. Smokestack Books is a small independent press that receives no public subsidy. The publisher and the editor are working pro bono. The book is partially funded by a research grant from the University of Chichester, awarded to the editor, which has allowed her to pay a small contributors’ fee of £10 a page. This crowdfunding campaign seeks to increase this fee to a more professional rate; to cover design and printing costs for the book; and to raise money toward the legal fees of Ashraf Fayadh and Dareen Tatour, both currently imprisoned, respectively in Saudi Arabia and Israel, on charges related to their poetry. Translators: Josh Calvo, Raphael Cohen, Katharine Halls, Sarah Maguire and Anna Murison [c/o the Poetry Translation Centre], Tariq Al-Haydar, Andrew Leber, Waleed Al-Bazoon, Wejdan Shamala. Monies raised to support Ashraf Fayadh will be donated to the English PEN campaign on his behalf. Funds raised for Dareen Tatour will be donated to the Free Dareen Tatour campaign. FAQ: Aren’t boycotts modern day witch hunts? FAQ: But what about ‘dialogue’? FAQ: Is boycotting Israel anti-Semitic? Crowdfunding Appeal: Help A Poet Return to Palestine!